If you were alive at the time of the Mount St. Helens eruption in 1980, then you probably remember the shock and horror it caused across the nation. Ash was everywhere, clean up efforts were needed, people died, and a state of emergency was declared by Washington state. And some of the 1980 Mount St. Helens eruption damage is still being cleaned up to this day! There are even some things you may not even know about this natural disaster that will leave you stunned. 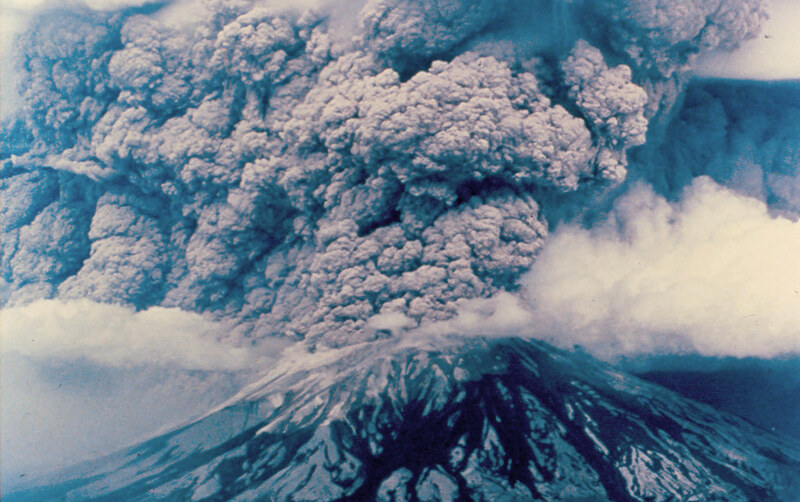 Some of the facts about the 1980 Mount St. Helens eruption are pretty basic. It was definitely a catastrophic eruption - the most destructive of its time - and the ash was so thick that it even buried people and houses. But there are other more intricate facts to cover as well, such as how the eruption was actually heard in some distant cities, but not in nearby ones. It's also worth noting that Mount St. Helens remains an active volcano! If you weren't alive for this event, you still likely know its name and that it was one for the history books. And we still have much to learn from this fiery mountain. With many natural disasters, we don't get a lot of warning that things are about to go terribly wrong. But such was not the case with Mount St. Helens. Beginning in March of 1980, researchers began recording a series of small earthquakes surrounding the mountain, and they soon began to suspect that something was changing under the surface. These earthquakes steadily grew in magnitude to above 4.0 on the Richter scale, and the United States Geological Survey and the US Forest Service began holding conferences to discuss what might be happening. They sent teams out to document the mountain's changes, took photographs and readings, and set up research posts. Within the two months that followed, scientists became very certain that not only was the volcano stirring to life, but that it was ready to blow - and soon. A bulge had begun to develop on the north side, and was growing by six feet per day - it was only a matter of time. One might not think of a volcanic eruption as being something that could be set off by a landslide, but that was precisely what happened. On May 18, 1980, at just around noontime, the bulge that had been growing on the north side of the mountain had become so large that it was no longer stable. And when a large earthquake hit, it caused the bulge to break loose into an avalanche. However, inside of it had been a tightly confined pocket of magma, gasses, and liquid, so when enough pressure was released, the volcano was able to very literally let off some steam. Because the avalanche happened in this exact way, the loss of pressure was catastrophically sudden. One researcher, David A. Johnston - who happened to be close to the volcano - saw the avalanche and had just enough time to radio in, "This is it!" before the explosion rocked the area. The scientist who first called in the impending eruption didn't have much time before the mountain physically exploded before him, killing him nearly instantly. The amount of earth removed was so great that it could have filled a million Olympic-sized swimming pools, and caused the mountain to very suddenly depressurize. This abrupt change in pressure along the dome turned out to be just enough to trigger an explosion - and that doesn't mean an eruption straight into the sky, either. The volcano blasted laterally and quickly overtook the speed of the landslide, causing hot gasses and material to shoot out at over 300 miles per hour. Within minutes, the blast had destroyed everything in its vicinity, including research stations, trees, and even displacing nearby Spirit Lake. The explosion is considered to have been as powerful as a nuclear bomb. The blast radius of the explosion was impressive. At least 19 miles spanning from the west to the east was destroyed almost instantly, and at least 12 miles were destroyed to the north. There were no trees and no structures left - absolutely everything vanished in the blink of an eye. But the destruction didn't stop there. The force of the blast knocked trees flat to the ground for at least 230 miles around the blast site, and those fallen trees were promptly covered in hot debris, some of it burning and smoldering from the heat. Spirit Lake was literally sloshing from the incident and was promptly filled with mud and trees that had been carried away in the initial landslide. All of this happened in mere moments, but the destruction from this eruption was only beginning.